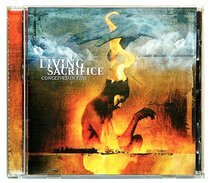 Living Sacrifice have stayed at the top of the Christian hard music scene with intelligent lyrics and near perfect musicianship. At times the intensity of this album is almost too much, as the band continues to break traditional styles and barriers with some of the heaviest music ever written. Awesome.